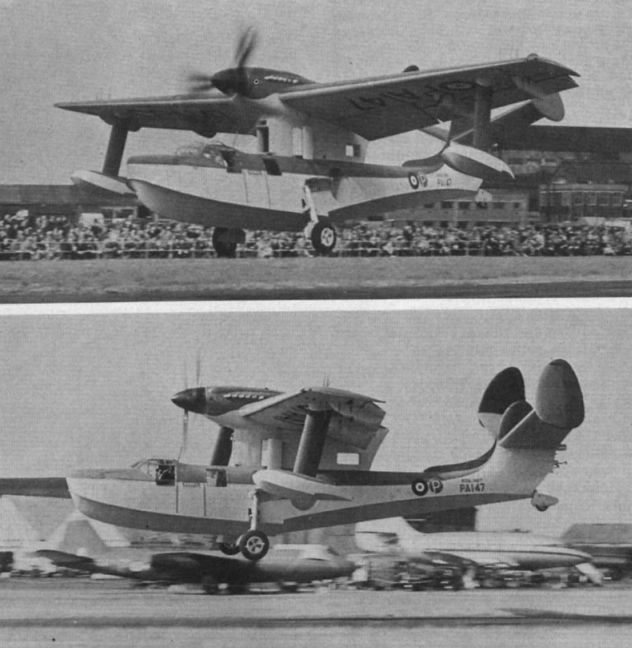 PA143 taking off, showing the semi-enclosed amphibian undercarriage. PA143 taxiing with 4° wing incidence, with a 13kt wing on the starboard quarter. Turning on water proved to be one of the Seagull’s handicaps. 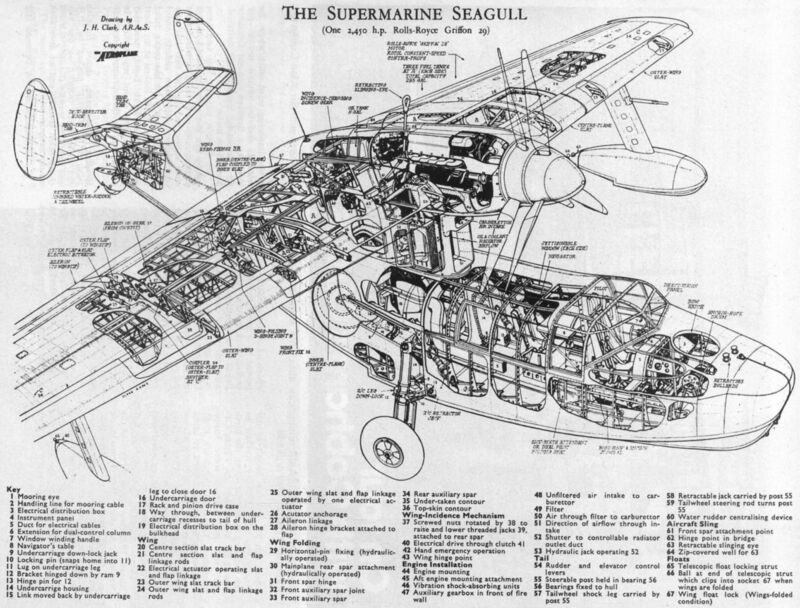 The first Seagull, PA143, taxies out at the SBAC Show of September 1948. The same machine with wings folded and jury struts anchoring floats to the central pylon. Two shots of PA147 at the 1949 SBAC Show. 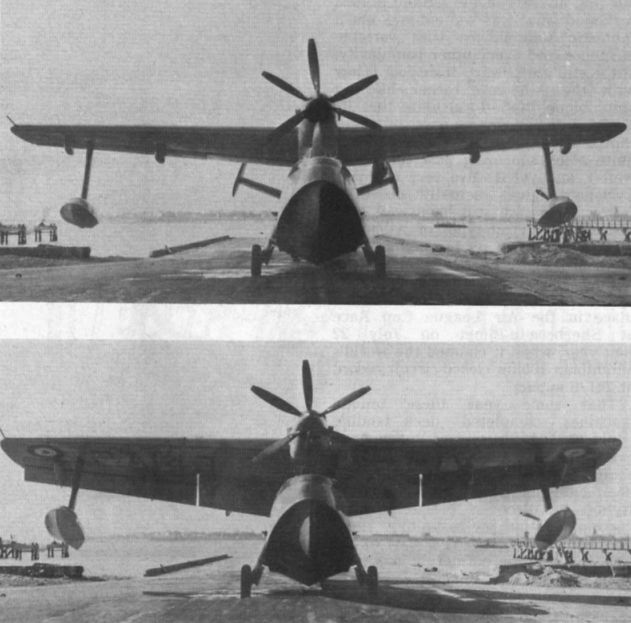 Note extended pylon, central rudder and dorsal fairing. PA147 at Sherburn-in-Elmet, July 1950, with larger central rudder but smaller ones on the tailplane tips. 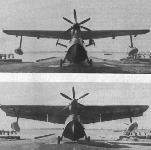 Comparative views of PA143 with flaps up and wings at minimum incidence (top) and with flaps down and maximum incidence. 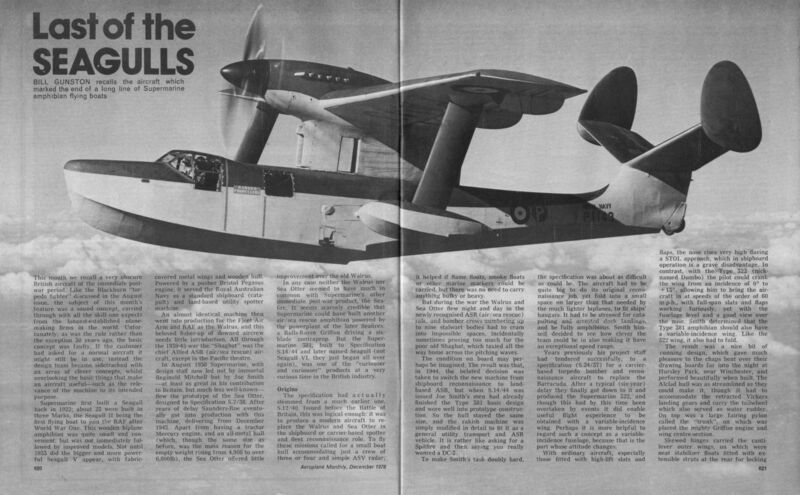 By 1950, when these pictures were taken, a central fin had been added and the pylon fairing extended rearwards.